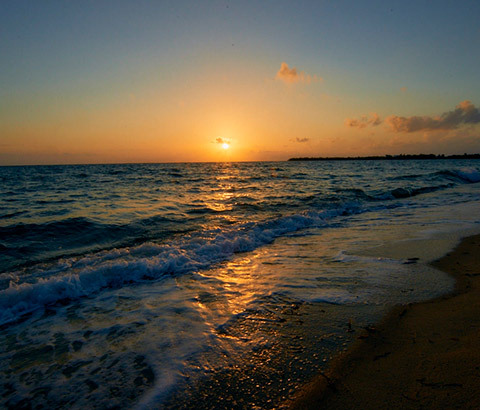 In the heart of Placencia village rests a secret sanctuary known as the Ellysian: Greek word meaning beautiful or creative; divinely inspired, peaceful and perfect. It draws its name from the Elysian Fields, the heaven on earth of ancient myth. Our Ellysian also honours the name Elyse, derived from Elle, a word that also once meant “sun ray”, it is also sometimes used to refer the goddess Gaia, our Earth mother, the eternal feminine presence. 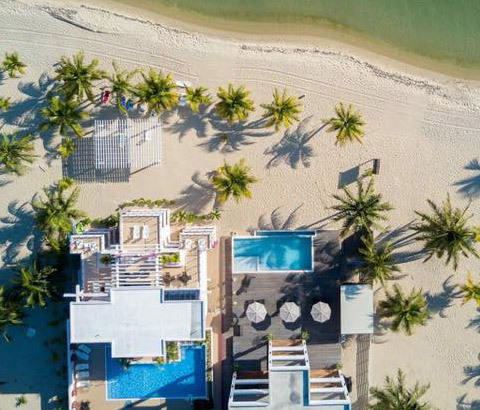 A very fitting name, as every day the hotel basks like a goddess in the golden Belizean sunshine, and has been inspired by a woman’s touch from its inception. Apart from these ethereal planes of origin, The Ellysian is also very grounded, solid, connected and real. 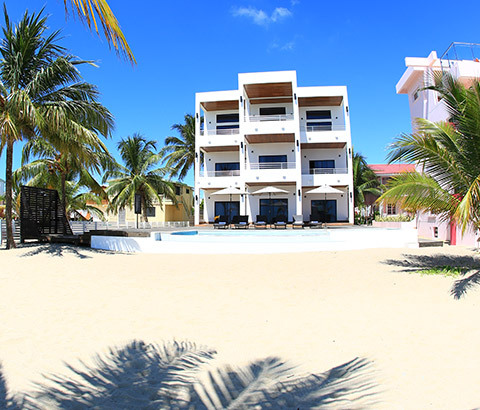 From its ocean view perch in Placencia Village it gives easy access to the surroundings. Inside, the Ellysian is just as luminous as the exterior. Each of the Ellysian’s rooms, or perhaps we should call them her daughters, are unique and decorated as a sensory experience for all guests who are lucky enough to partake of her charms. A symbiotic relationship between art, form and function thrives behind every door. Some are vibrant and eclectic, others rely on a few simple elements to warm your heart and welcome you. No matter the suite you choose on your fantastic vacation you will be drawn to the elegance and the unique artwork in every room. Adventure awaits. 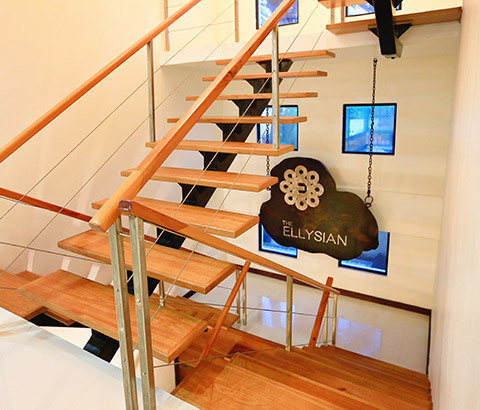 Come join us in the Ellysian and experience what it really means to let go.